Many people have asked why post all this history stuff on the area you’re calling the Somerset Hills. Well, call it passion. Call it intrigue. Call it local awareness. I think that the main reason is whenever I asked a question about history in the area, the information wasn’t available. I didn’t want to wait to go to the library, and I didn’t have time to go to the local historical society. But I moved to the area and said, “If I’m gonna be a local, I need to learn something about the history”. 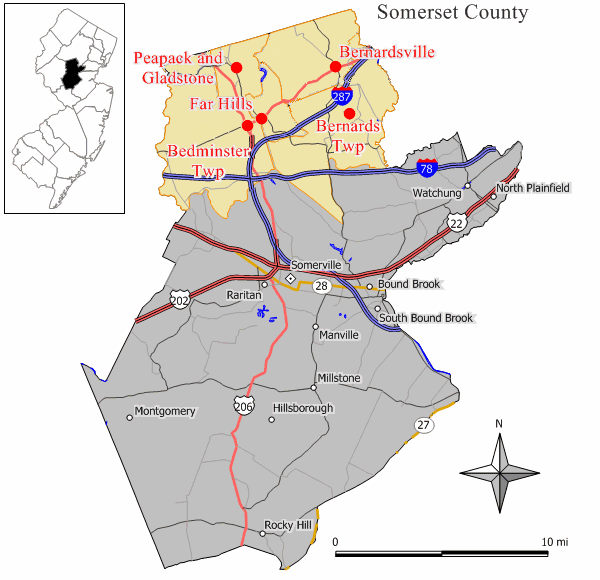 The Somerset Hills is often called the area of the “Landed Gentry” giving luster to this historic area. 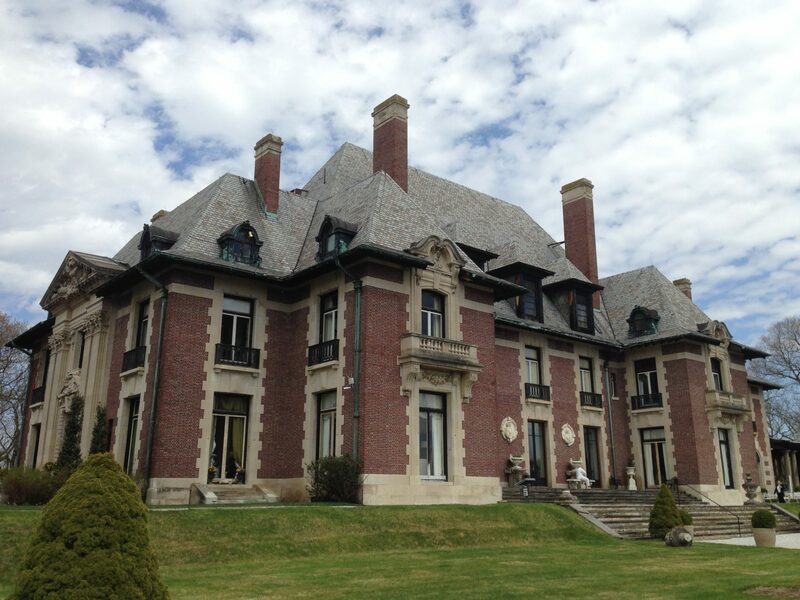 With names like Mars, Merck, Pfizer, Kean, Whitman, and even President Trump, the Somerset Hills is full of great estates and mansions. In today’s era of “give it to me now”, we’ve become a bit spoiled regarding information. We want it fast and we want it now. So here it is… my masterpiece. Below is our updated creation called a mashup. 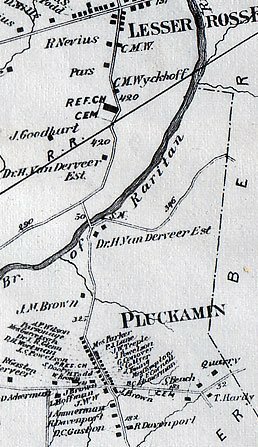 We take historic information and post it to a google map so people can click to learn about a property, and even visit it if they so choose. The list of the properties is listed below. Please make sure you respect private property. 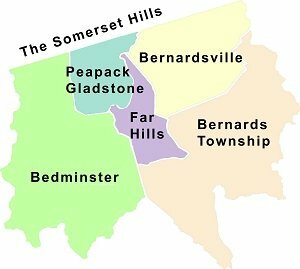 The Somerset Hills is a New Jersey area in Somerset County including the towns of Bedminster, Basking Ridge/Bernards Township, Bernardsville, Far Hills, and Peapack/Gladstone. Wow that’s a mouthful. 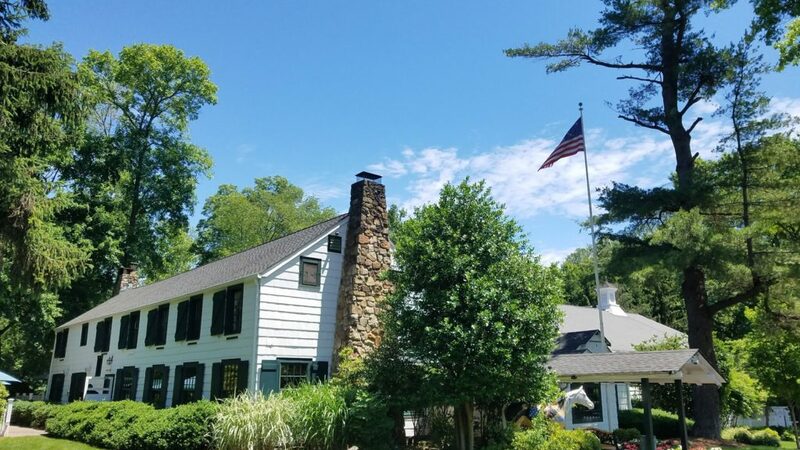 In an effort to open up history of this area on the internet, we’ve partnered with a number of non-profit historical societies and local historical efforts to assist their transition to the internet. But as it took a long time to create history, it’s going to take a while to bend some minds and get some to understand that the internet is just a different way to communicate information. Take a look at one of our playlists on our Mr. Local History YouTube Channel showcasing some of these fantastic mansions.